I’d been hanging out for a sunny day during my time in Sydney. 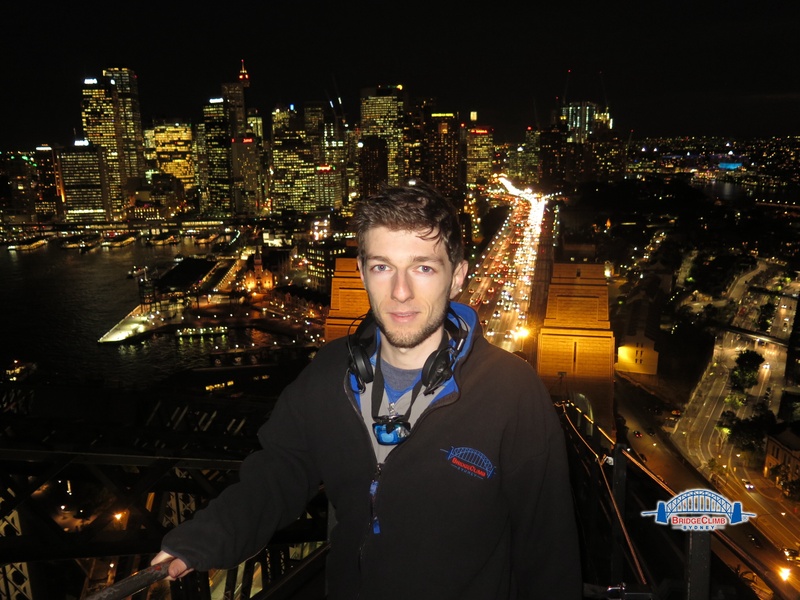 Even though I’d already climbed the Sydney Harbour Bridge when I was last here, I so badly wanted to do it again. It was one of the most breathtaking, memorable and liberating experiences in my life. This holiday was all about getting some time out. Diabetes has messed up my headspace and triggered some intense emotional rollercoasters this year, and I really felt as though I needed to have this experience once again. I really felt as though this experience would be the perfect way to hit the refresh button. This time around, I’d had a Twilight climb in mind. I was hoping that I would get a chance to see the sunset up there, as well as have a photo in front of the night sky. It was just a matter of getting the timing right. Timing. If everything went to plan, I would be up on the bridge at around 4pm, I would reach the top by sunset, and I would get my photo in front of the night sky on the way down. I hoped. Next up was the dreaded task of having to disclose diabetes to my counter attendant. I hate disclosing my diabetes because its just such a demoralising task. And this time around proved to be no different. It annoyed me that I had to be the one to speak up about wanting to carry my insulin pen and meter up there with me as a just in case. I was told that “we don’t normally allow you to carry items up there.” Not wanting to make a big fuss, I said that I would be fine to have a last test of the BGLs during the prep time. I was all booked, out of there and had well over an hour to kill before my climb. And boy oh boy did that hour turn out to be one of the most intense and eventful hours out of the whole trip. 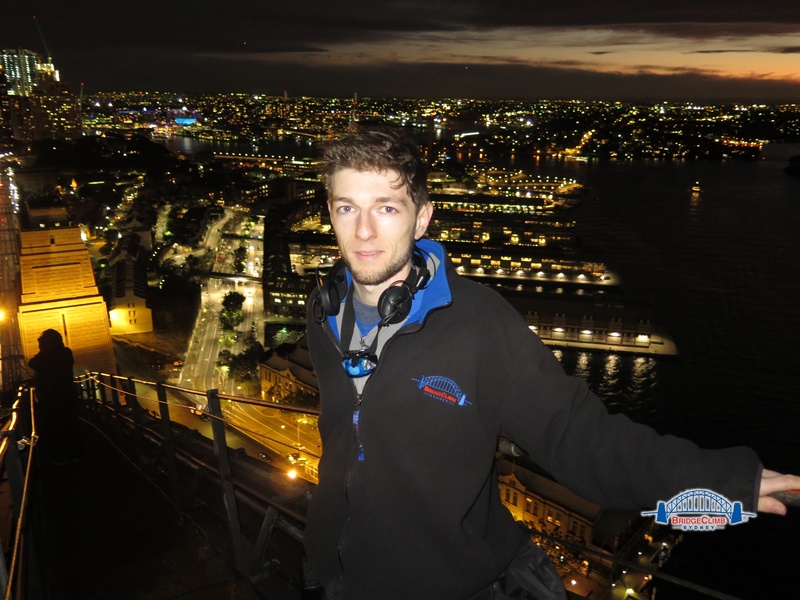 I had a Hypo on the Harbour, which you can read about here. 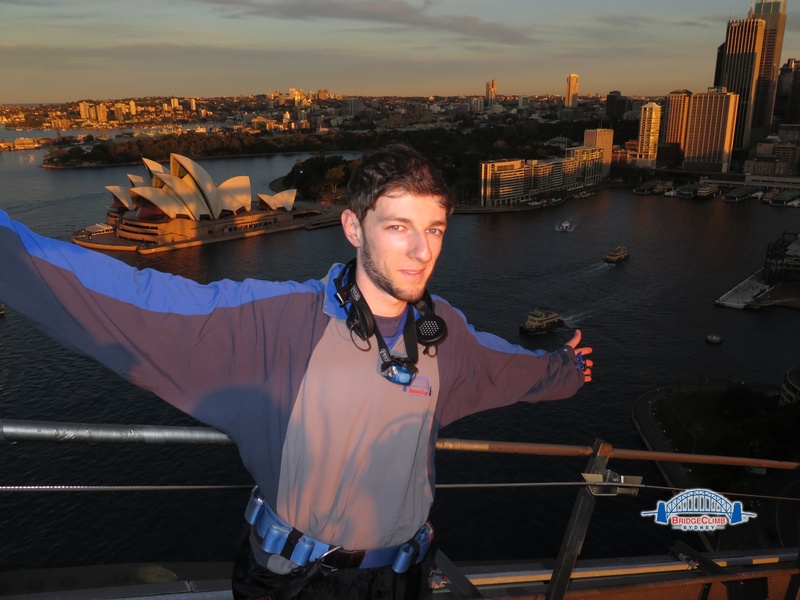 I later returned to the BridgeClimb centre, waiting to be called in to start my 3.25pm climb. I did one last check of my blood sugar levels. It was a cool 6.2 following my nasty hypo. We were finally called in, and the prep work started. Group introductions, paperwork and safety instructions. We got dressed into jumpsuits and then had radios, headsets, headlights, beanies, fleeces, gloves and hankies hooked onto us. 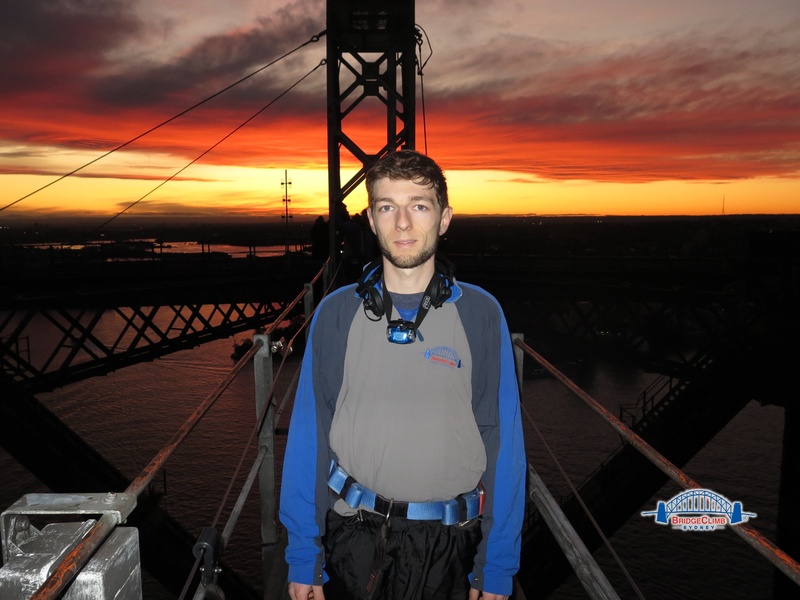 We were also fitted with belts that would physically attach us to the bridge during the climb. I had snuck my meter and insulin pen in my pocket, only to have to face what looked like an airport security gate. Thankfully, my climb leader had a carry case on his waist for things like this, although this would have been nice to know before! Finally, we each had a run of the practice course, before making our way onto the bridge at around five past four. We had to climb up some ladders and through some narrow spaces to get to the outer edge of the bridge. That’s about as hard as it got. Once we were on the outside, it was literally just like walking up a ramp with some spectacular views. It wasn’t difficult, it wasn’t super physical and we moved at a steady pace. The sun was hidden behind a few lingering clouds, and I was praying the whole way up that it would come out in time for our first photo. First stop was the Sydney Opera House, bathed in the last of the golden afternoon sunlight. Second stop was an appointment to watch the sun set. It was breathtaking. It was beautiful. It was another one of those moments where the whole world just stopped. In that moment, all I had to do was stand there and take it in. In that moment, diabetes did not even exist. The sun dipped below the horizon, leaving behind it a glowing Twilight sky and the perfect backdrop for my photo at the summit. The dark, the cold and the wind began to set in on the way down and it was time to pull out the fleeces. And this final photo was well and truly worth all sorts of cold. I could honestly sit here, staring at this photo for hours and hours. Every time I look at it, I see how happy I am. I see what is by far my favourite city in Australia. I see a breathtaking view of the city lights against the night sky. I am reminded of the amazing, once-in-a-lifetime experince that I had. I am reminded of just how relaxed, liberated and free from diabetes I felt that night. It’s something that I’ll be able to go back and draw inspiration from every time diabetes tries to knock me down. And it’s something that reminds me that anything and everything is possible in a life with diabetes. And most importantly, it was the perfect way for me to hit the refresh button and start the second half of the year.